The new PM6004 Integrated Amplifier delivers a remarkable combination of power and finessein stylish package that’s as convenient as it is luxurious. 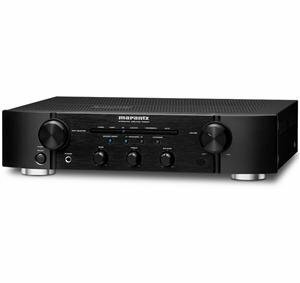 The PM6004 offers up all of the detailand harmonic balance that Marantz is famous for, and adds control options that insure easyintegration with today’s systems. In the spirit of our Reference Series components, a Torroidal transformer anchors an all new power supply that feeds a Current Feedback Amplifier. Fiveline inputs and two line outputs insure connectivity with all your cherished source components;and there’s an all-discrete moving magnet phono stage for your turntable too!